Of course no one was surprised when Darren Wilson was not indicted for killing Michael Brown. 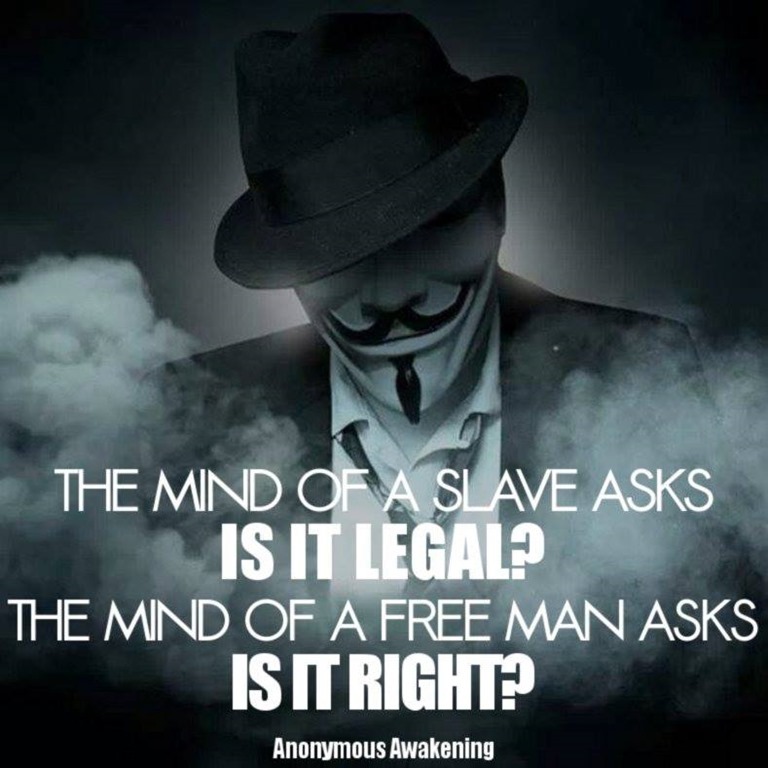 That’s because we live in a society where what is “legal” has overtaken what is right. The grand jury has now essentially said it was legal for Wilson to kill Brown. But the people of Ferguson (and around the country) know it wasn’t right. The courts keep saying it’s legal for banks to steal millions of homes. But the homeowners know it isn’t right. The government says it’s legal for them to spy on you. But we Internet users know that’s not right. The UN said it was legal for the US to invade Iraq. The Iraqis knew that wasn’t right. The banks say it’s legal to create money out of thin air and buy up the world while buying off the politicians. The poor know that isn’t right. They have created an entire system of legalizing the wrong things and criminalizing the right things and then selling us that system 24 hours a day. Flaunting it in our faces with “experts” telling us why it all makes so much sense when it fact it makes no sense at all. A lot of us damn well know it, despite the mind control, while everyone feels it but may have succumbed to the propaganda. 4 towards me again with his hands up. Wilson literally demonized Brown for the grand jury. You cannot make this stuff up. Malcolm X knew the score. He warned us—why aren’t we being careful? The petty looters of Ferguson are vilified while the grand looters of Wall Street are celebrated. How long must we sing this song? We’ll be making progress when what’s wrong is illegal, and what’s legal is also what’s right. This entry was posted in Crap-italism, Everything Is Rigged, Foreclosure, Health issues and tagged Darren Wilson, Ferguson, foreclosure, foreclosure fraud, grand jury, Iraq, Michael Brown, NSA, NSA spying, United Nations. Bookmark the permalink.